Home » News » Busy Week in Basketball!! 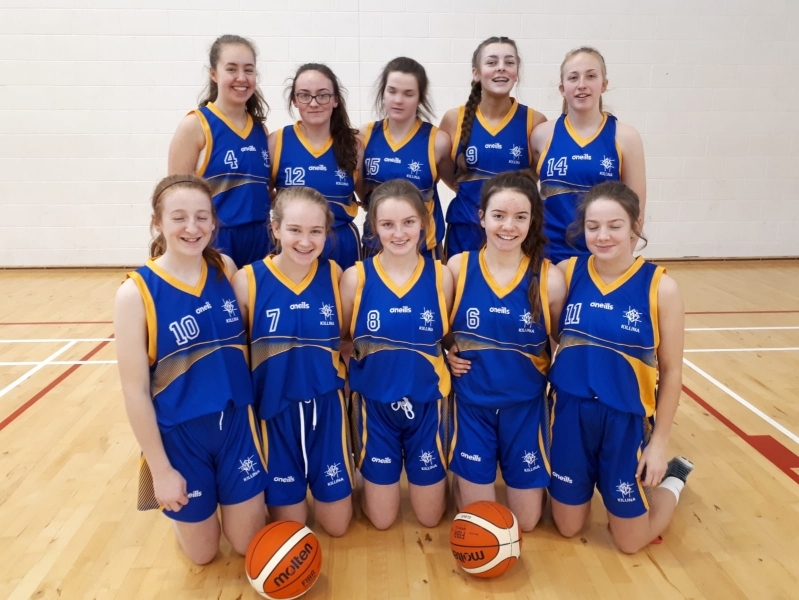 Hard luck to our u16 Girls basketball team who lost out in the All Ireland semi-final to Loreto Cavan on the scoreline of 36-46. The girls performed exceptionally well to hold a slender lead going into the final quarter against a very strong and experienced Loreto side, but ultimately had to give way in a pulsating final quarter. The girls did magnificently to get to this level, and the experience will surely stand to them in future competitions. The first and second year teams played their first round of the Midlands League away to Granard. Hard luck to the second years, who were unfortunate to come up just short, but well done to our first years, who gained their first of hopefully many wins.